Babies are such a sweet and nice way to start people. Two of my cousin’s, and their wives are gearing up to become parents. This is no ordinary “gearing-up,” however, as one couple is preparing for three, count-them, THREE, little boys! Oh, baby! So, I decided to get myself together and throw a baby shower for the parents-to-be. 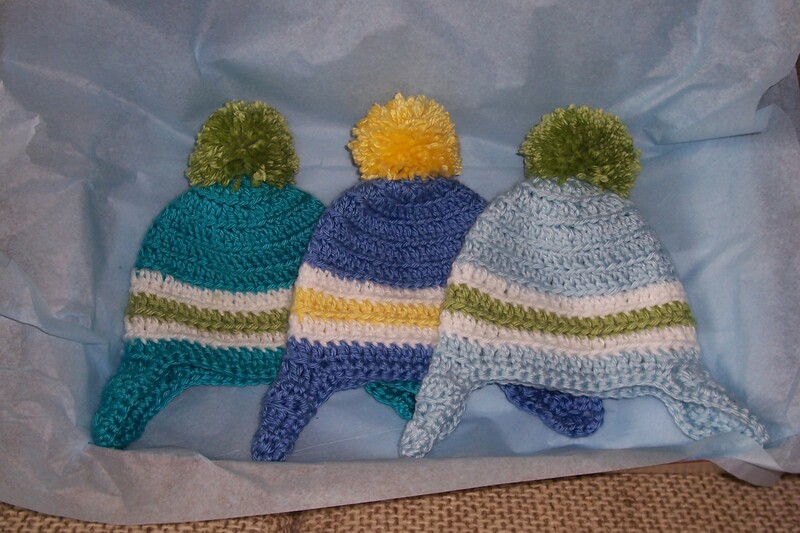 All the new babies in my sphere lately are getting hats made from this great pattern I found on a blog called Neanners Shop. (http://neannersshop.blogspot.com/2010/10/ez-earflaps-pattern.html.) I left off the braids, and added the pom-pom at the top. 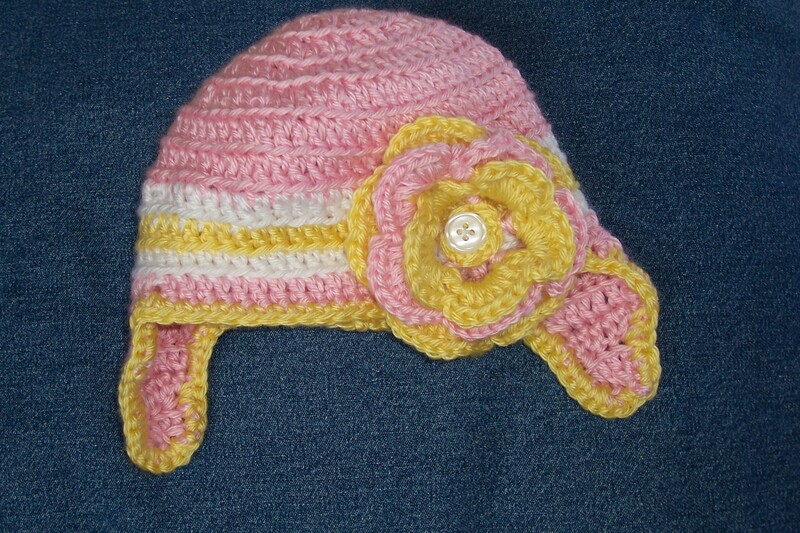 I also made one for the other couple who is expecting a little girl, so I added the flower. These are so easy to whip up! 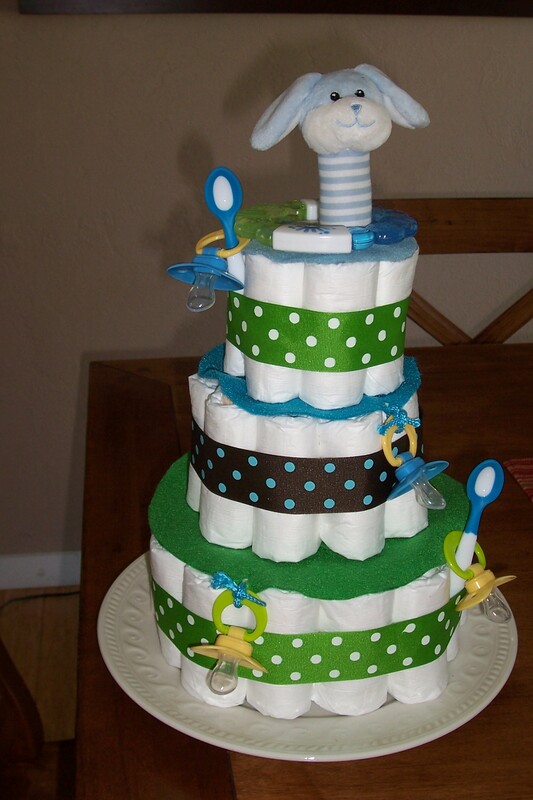 I also found lots of inspiration online to make a diaper cake, so I made up a “boy” one for the triplets. It’s so much fun to make things for Baby! ← The Huck’s are Here!